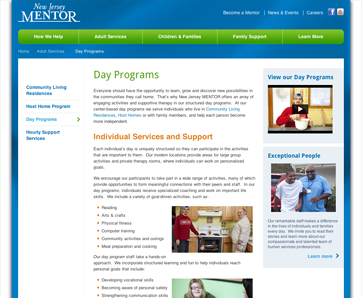 The MENTOR Network required a new website with a fresh, updated design and layout for their New Jersey MENTOR services. 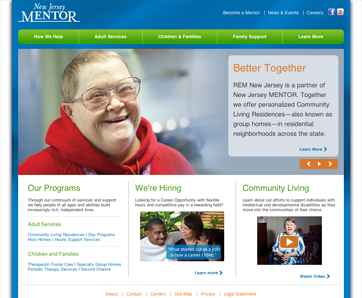 The result was an impactful web presence that provides a user-friendly experience, complemented by powerful messaging and imagery that highlights how New Jersey MENTOR positively improves the lives of its participants. The new website also includes a user-friendly customized content management system (CMS) for simple site administration with unique functionality.